We support organisations by helping them to redesign and continuously improve their health and social care services. from Healthcare Improvement Scotland's Improvement Hub (ihub) on Vimeo. Discover how we’ve been working with health and care providers to design and deliver better services for people in Scotland. Read the real life stories in the ihub’s Impact Report 2017-18 about how we improve health and social care services. The ihub runs a number of national programmes focused on supporting our health, social care and housing partners to deliver improved health and wellbeing outcomes for people in Scotland. The Scottish Patient Safety Programme (SPSP), part of Healthcare Improvement Scotland's ihub, is a unique national initiative that aims to improve the safety and reliability of healthcare and reduce harm, whenever care is delivered. 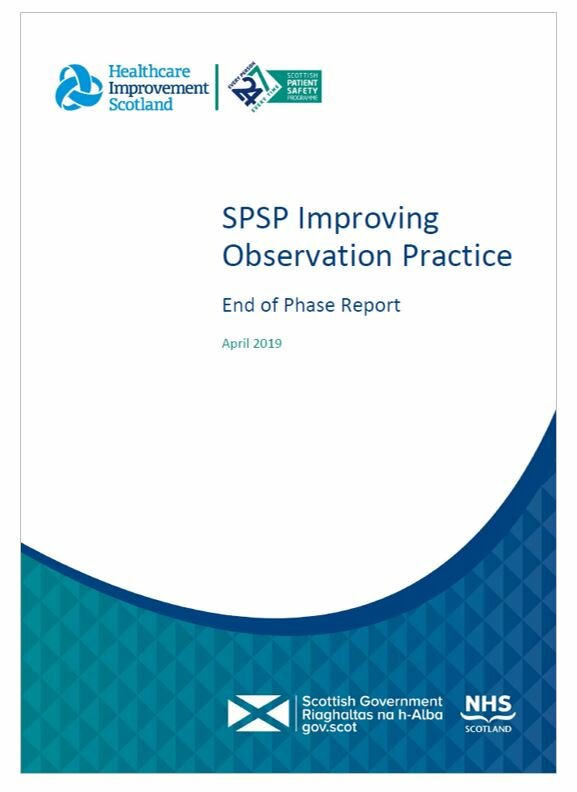 SPSP is comprised of the following parts: Acute Adult, Maternity and Children Quality Improvement Collaborative, Medicines, Mental Health and Primary Care. Do you input to, or have an interest in, the revised ISD Dementia Post-diagnostic Support data set? If so, this webinar is for you! Places are free but limited and will be issued on a first-come, first-served basis. Our upcoming event will bring together sites that are testing models of Neighbourhood Care to meet, share and learn from each other about successes and challenges encountered along the way. Get recent news from the ihub team. You can change your mind at any time by clicking the unsubscribe link in the footer of any email you receive from us, or by contacting us at info@ihub.scot. We will treat your information with respect. For more information about our privacy practices please visit our website. By clicking below, you agree that we may process your information in accordance with these terms.